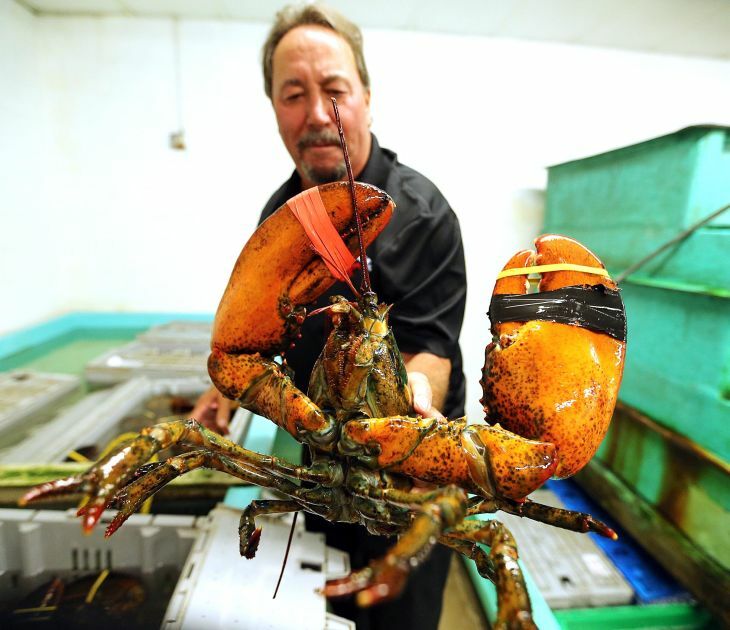 Greg Goff owner of Casino Lobster in Pleasantville, which supplies AC casinos with lobsters and other seafood show off a lobster from the tank Thursday, July 3, 2014. Greg Goff, owner of Casino Lobster in Pleasantville, supplies Atlantic City casinos with lobsters and other seafood show off a lobster from the tank. From the outside, the nondescript cement building nestled on a quiet residential block in Pleasantville looks like your average warehouse. Then you go inside, and the smell hits you. “When you’re in this business, it gets into everything,” said Greg Goff, owner of Casino Lobster, a full-service seafood supplier that’s been delivering live lobsters to Atlantic City casinos for nearly two decades. Goff remembers when the casino business here was booming. An abundance of high-rollers meant brisk business for the area’s lobster-mongers. 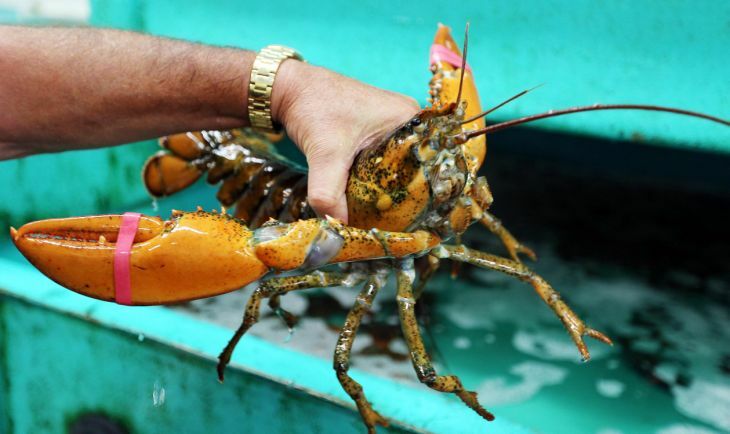 “It was nothing for them to get 3-pound lobsters for everybody in their party,” he said. But people in town aren’t eating lobster like they used to, he said. In the past, each casino-hotel bought at least 1,000 pounds of lobster per week, he said. People who used to gamble in Atlantic City are going to new casinos in Pennsylvania. And that’s not good for local lobster sales, he said. But it could be worse: He could be one of the lobsters. Being boiled alive is never fun, but there’s also that whole cannibalization thing. Struggling casinos and lobster-on-lobster violence aside, Goff said he loves what he does, and doesn’t plan on stopping any time soon. And he has a message for all the people out there hawking monkfish or pollock and billing it as “imitation lobster”: nonsense.